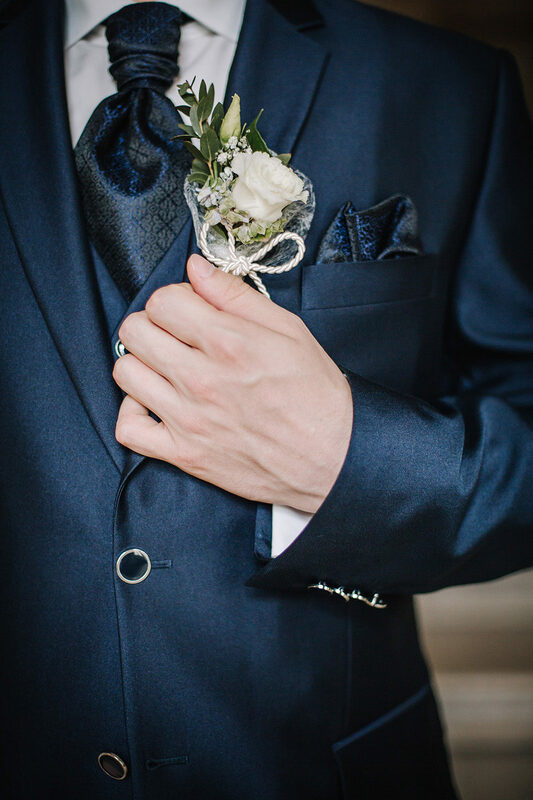 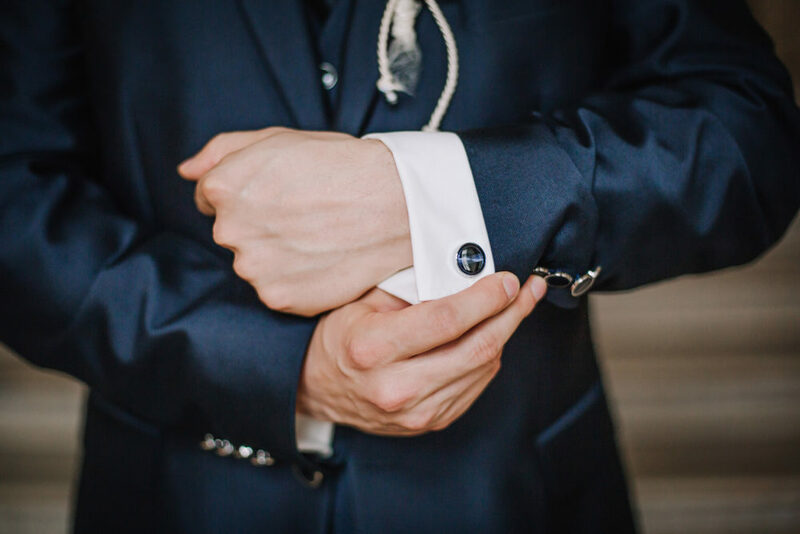 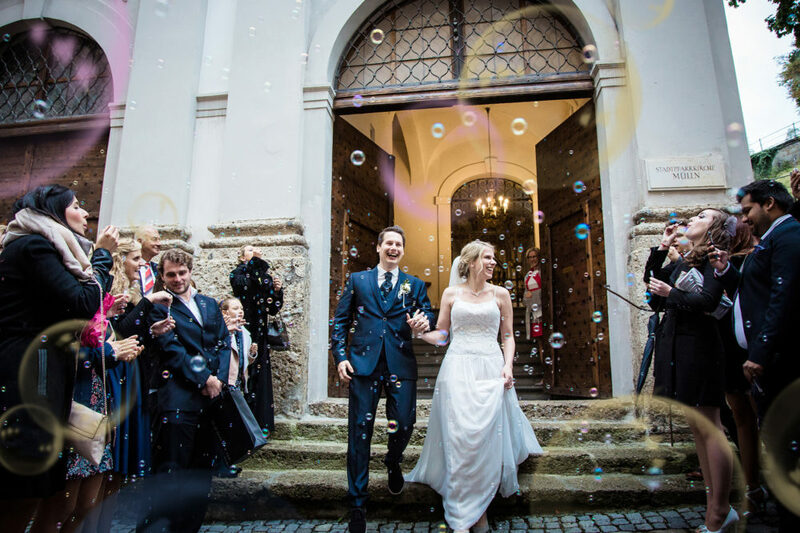 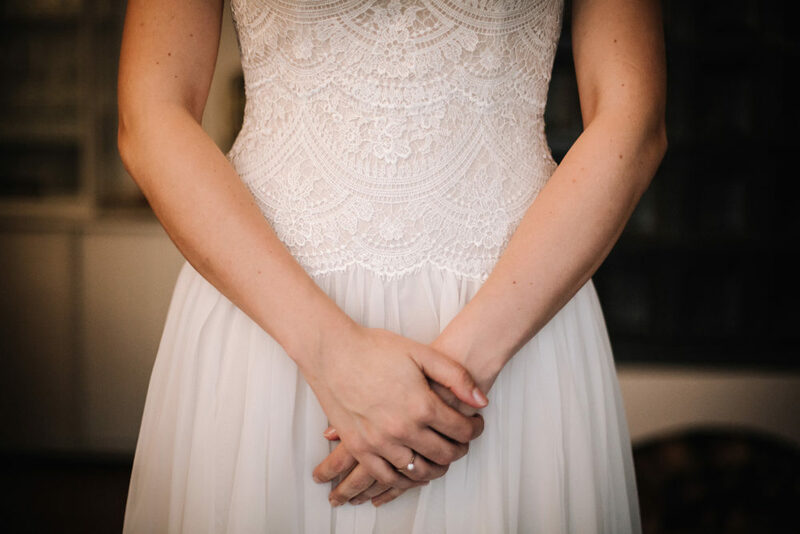 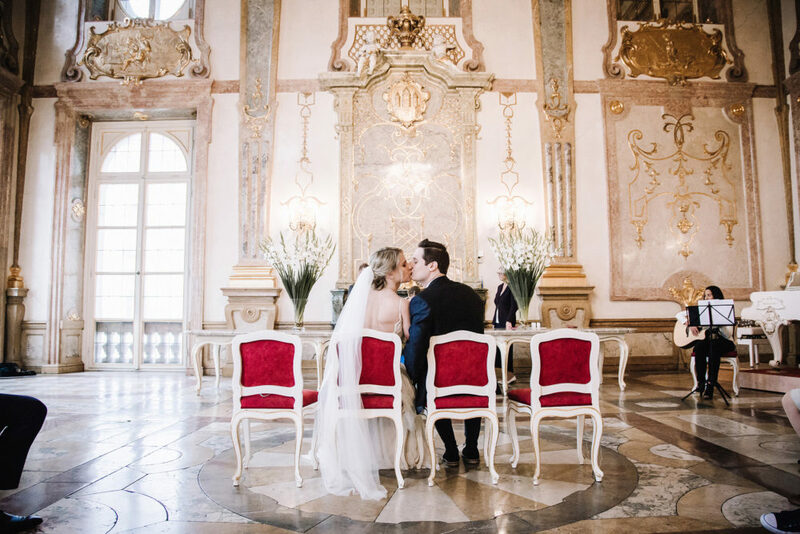 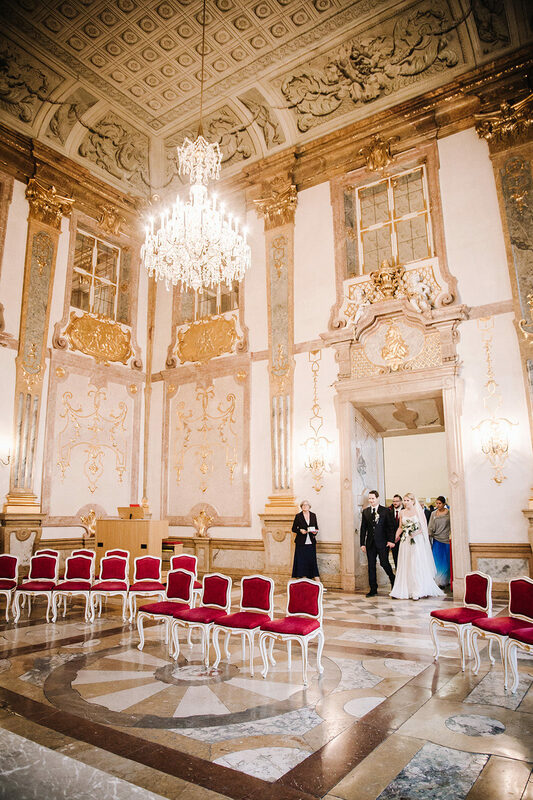 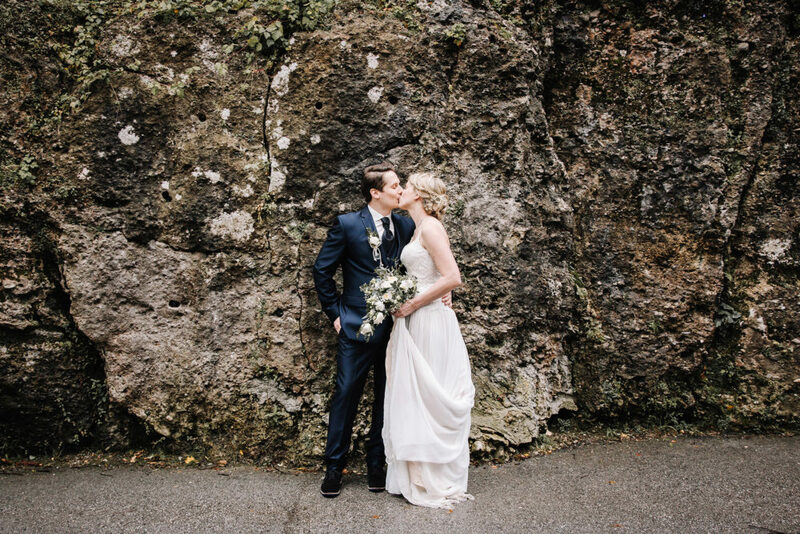 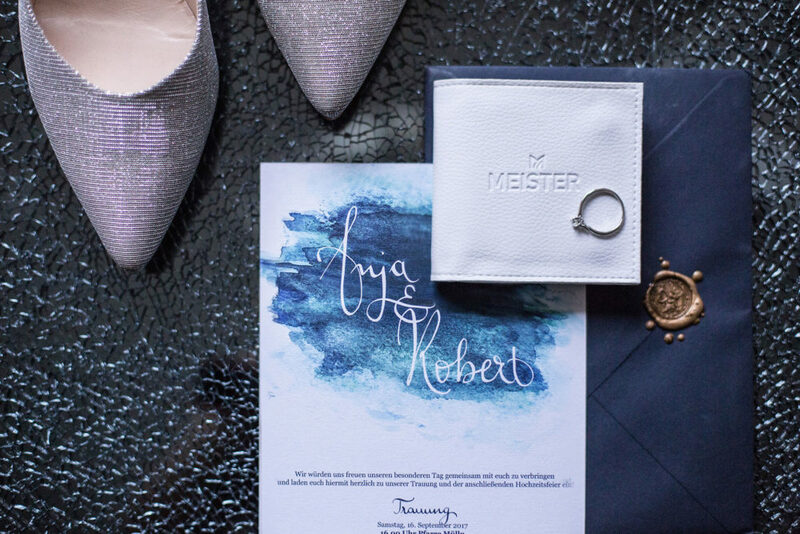 A luxury destination wedding in the heart of Salzburg. 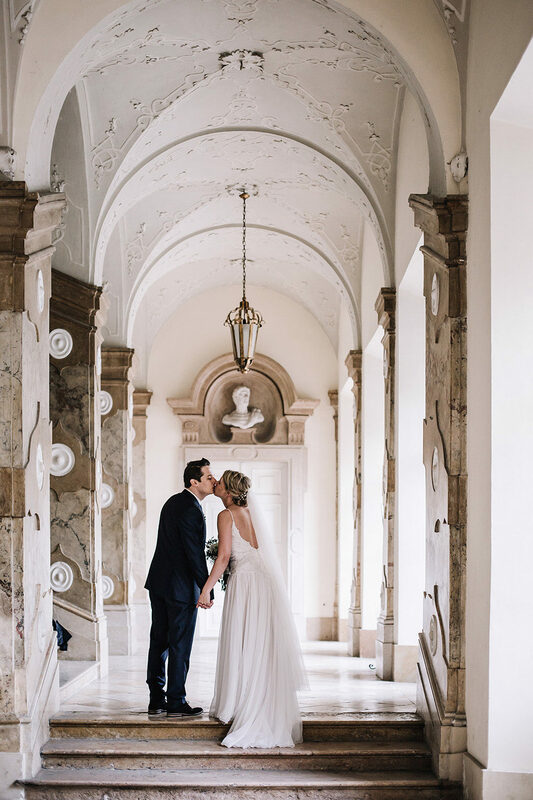 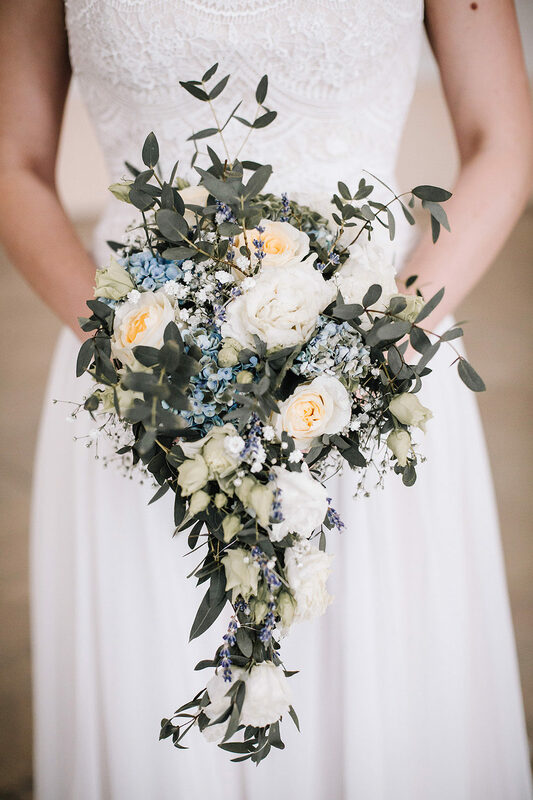 Anja & Robert both living in England, decided to go back to their roots to Salzburg to celebrate their wedding together with friends and family. 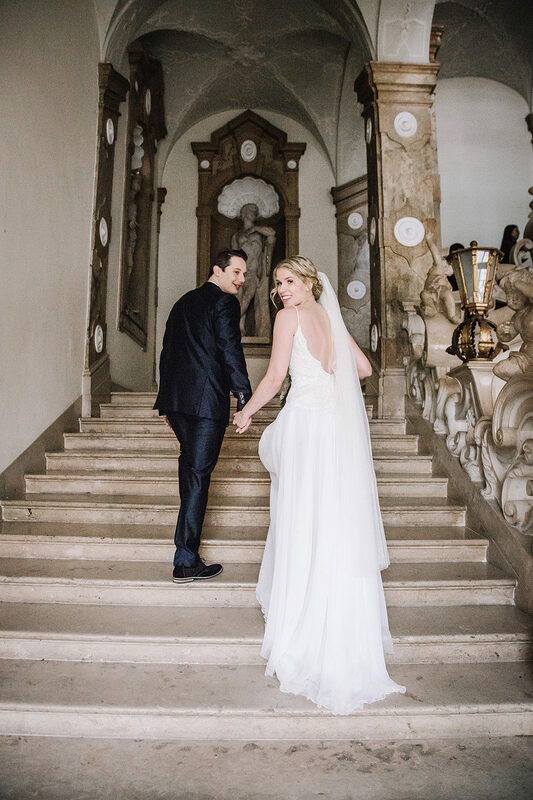 For this beautiful destination wedding they chose the most breathtaking locations possible, in and around Salzburg´s altstadt. 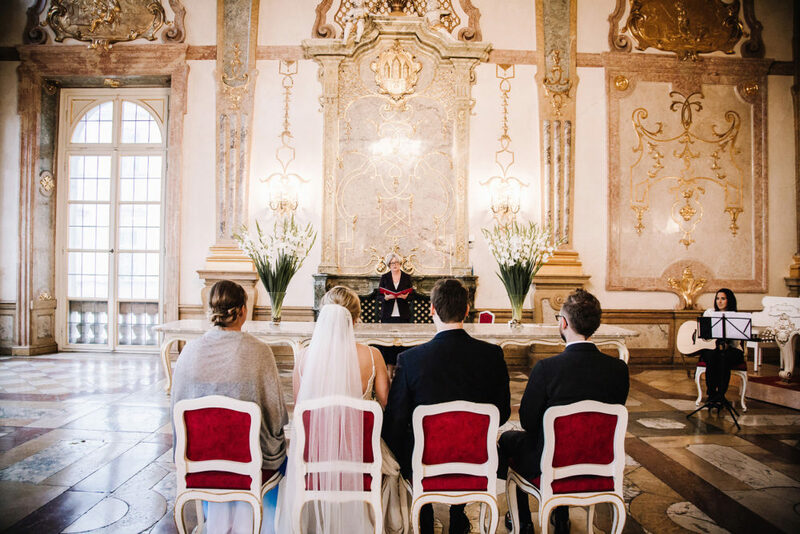 With its medieval flair and its baroque buildings, Salzburg offered the perfect flair for their elegant, romantic autumn wedding. 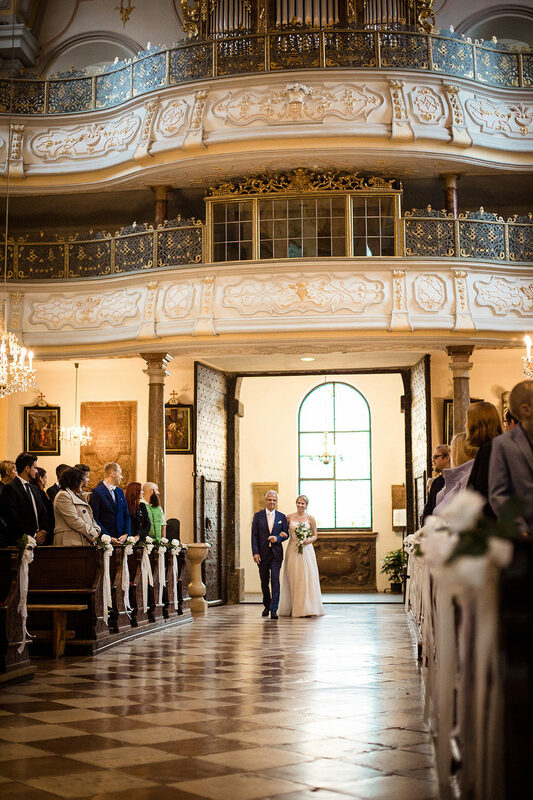 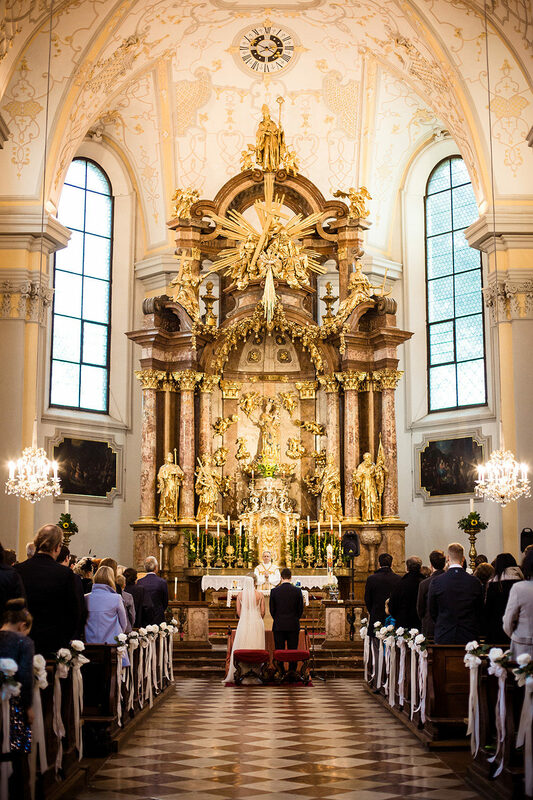 For the wedding ceremony Anja & Robert chose "Mülln Church" which is listed as an UNESCO World Cultural Heritage. 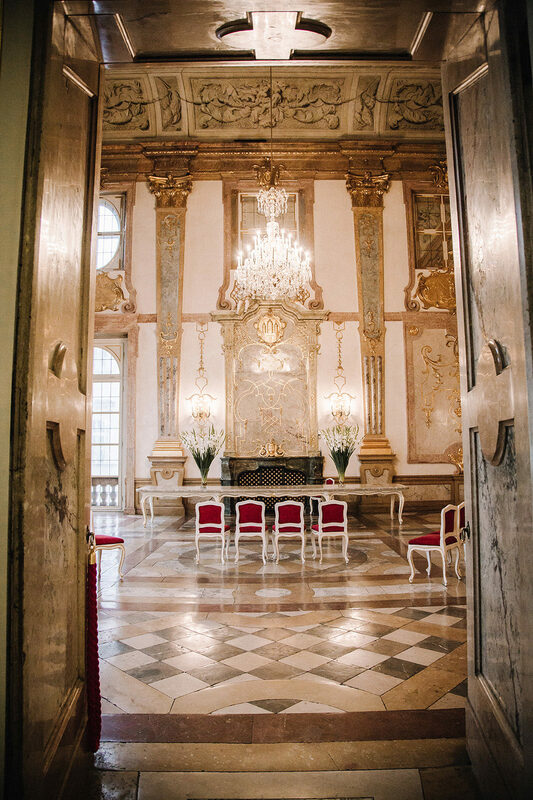 A perfectly romantic place for Robert to say yes to his sunshinebride Anja. 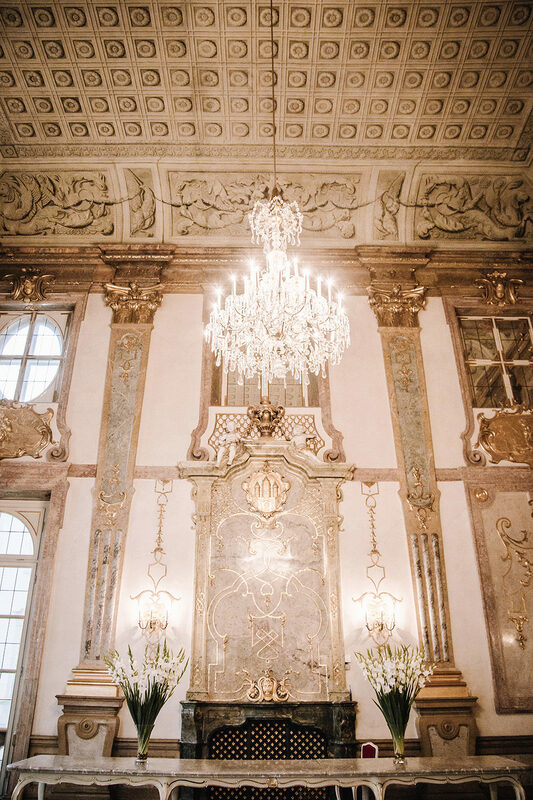 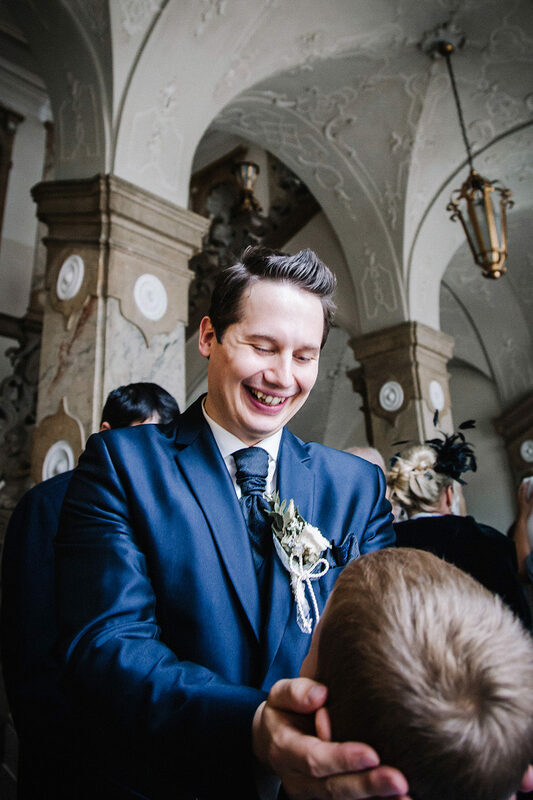 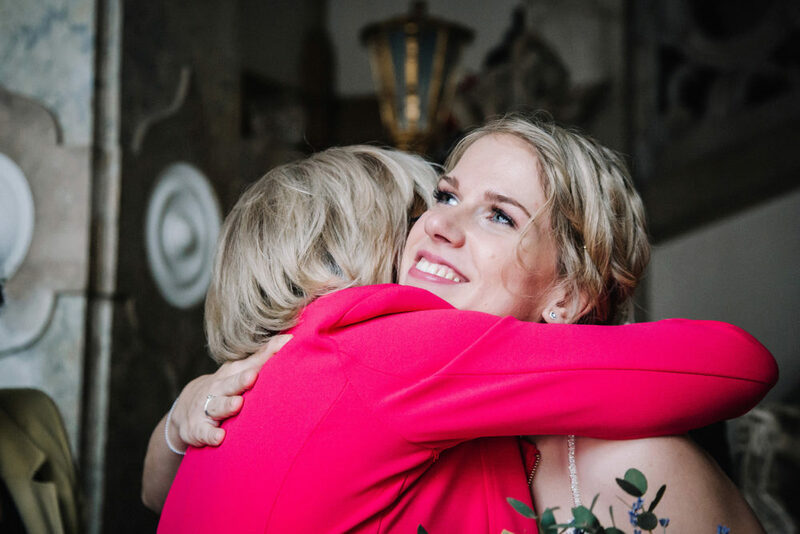 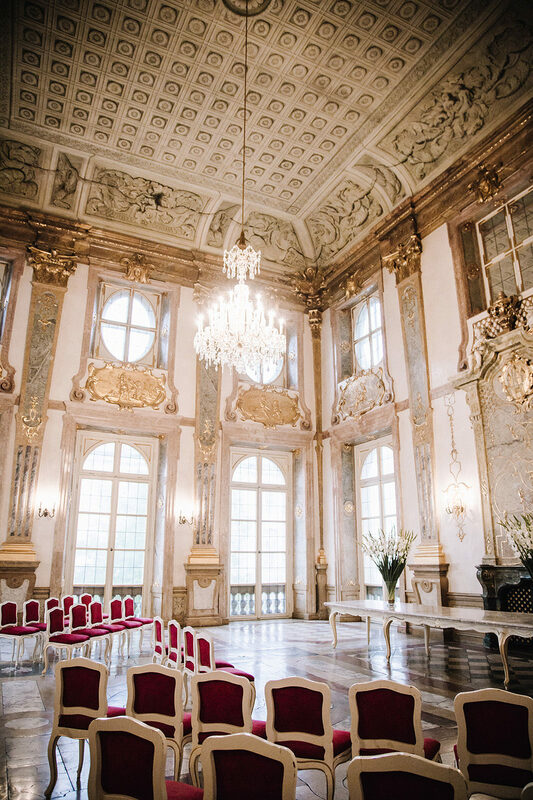 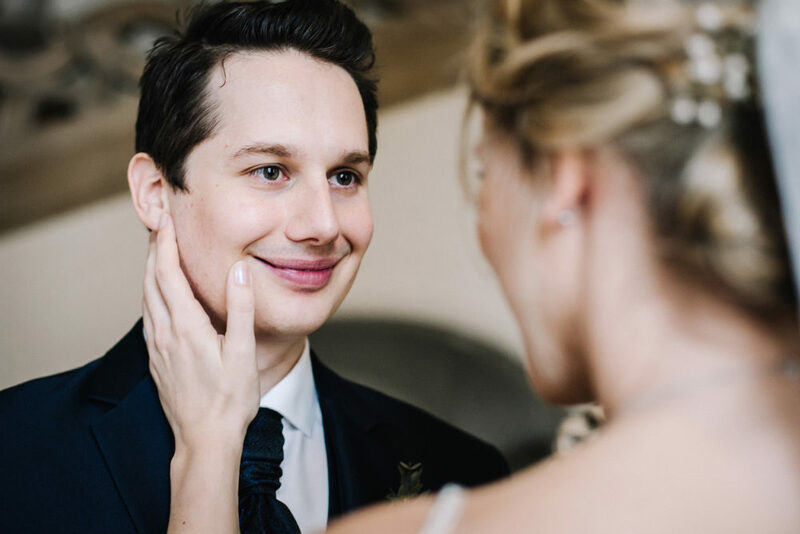 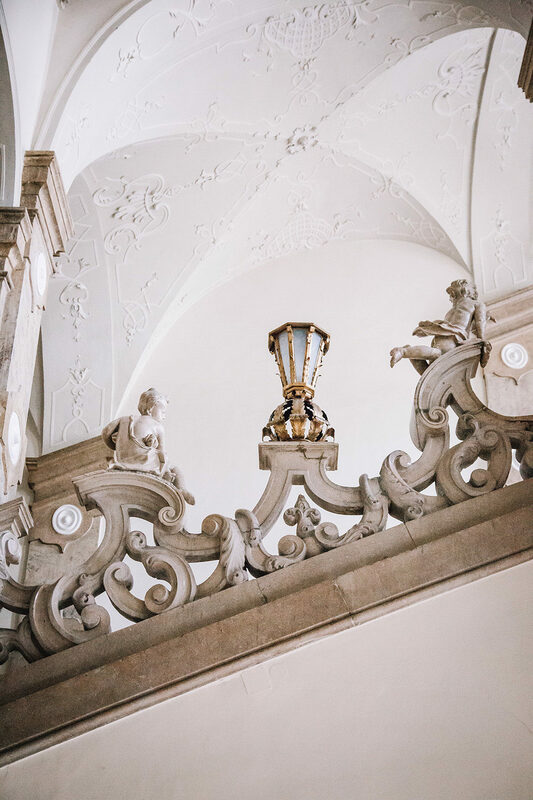 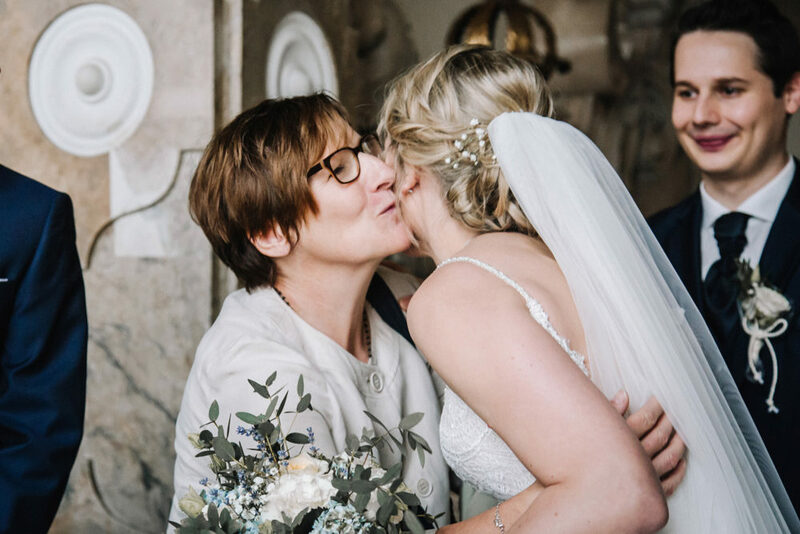 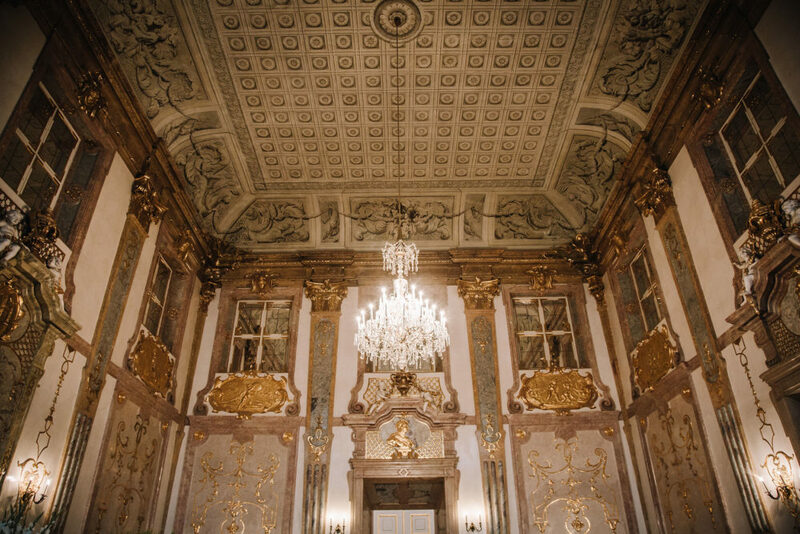 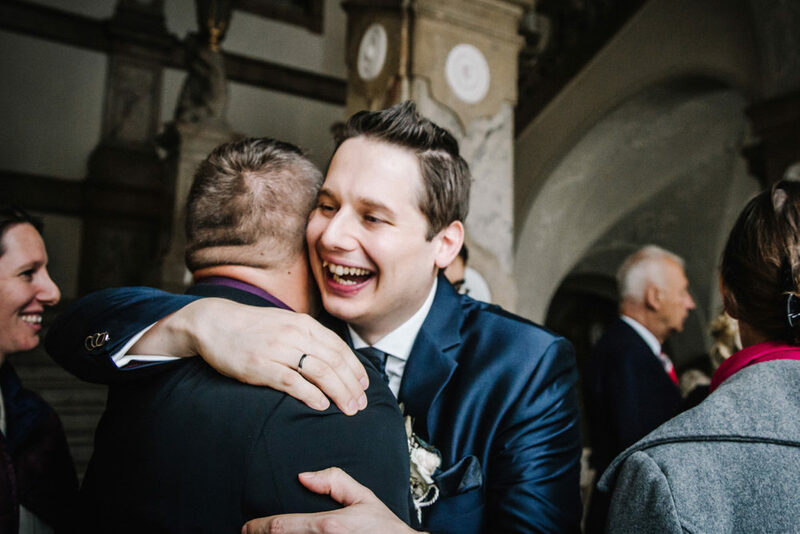 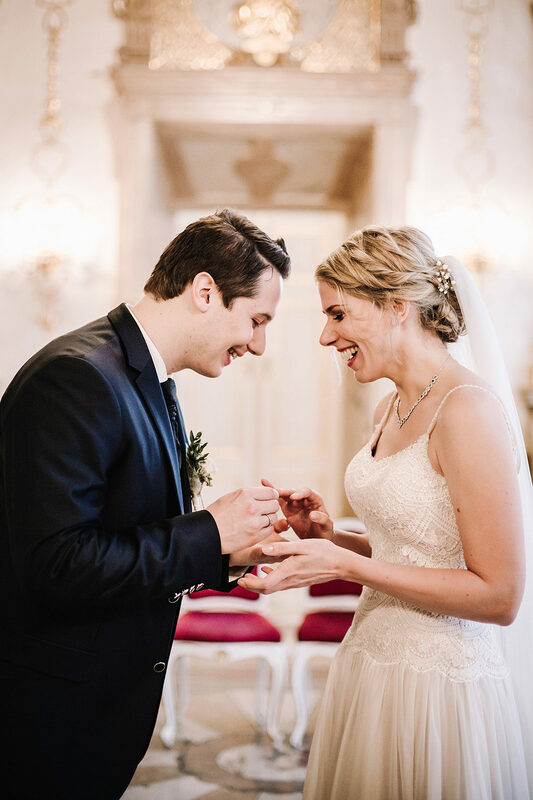 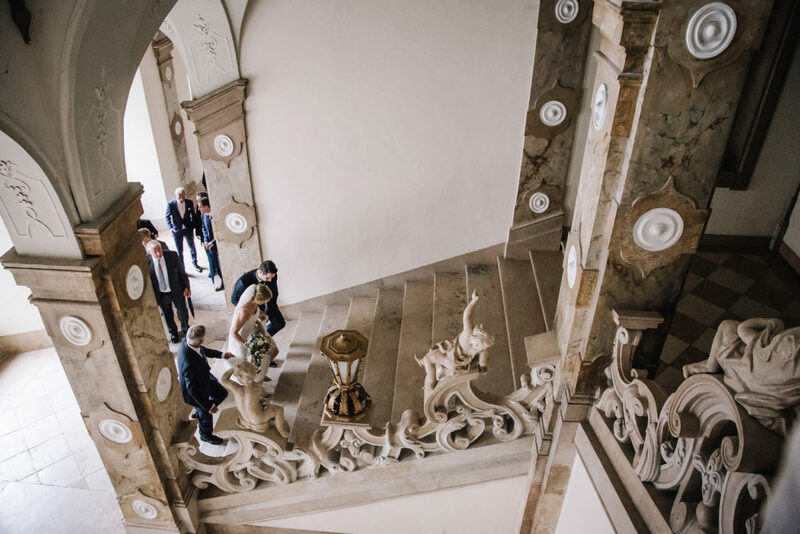 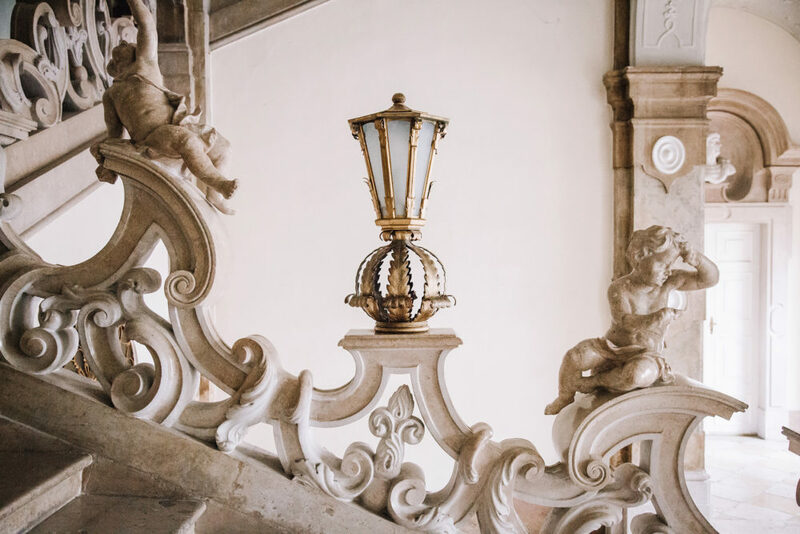 The wedding breakfast and main event took place in the halls of historic Castle Mönchstein, where Mr & Mrs. Sommeregger and all their guests literally danced the night away. 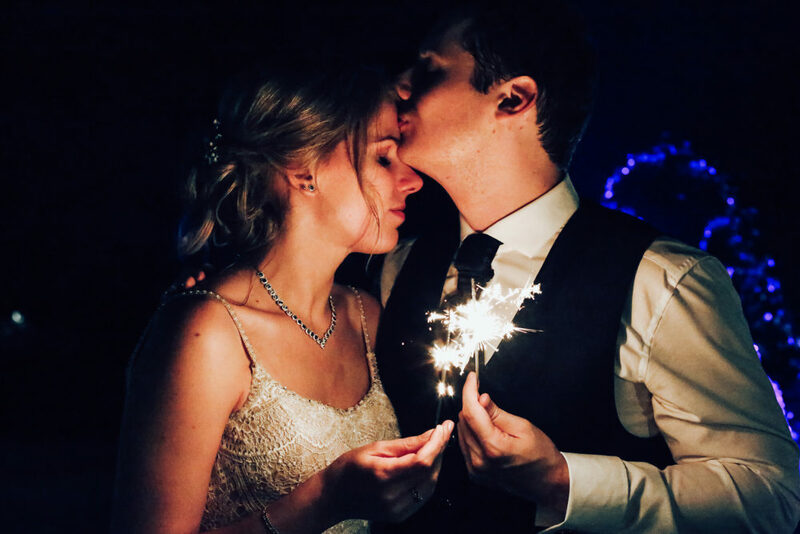 With excellent food, great music and a blasting crowd, Anja and Robert had the perfect start in a whole new chapter of their life. 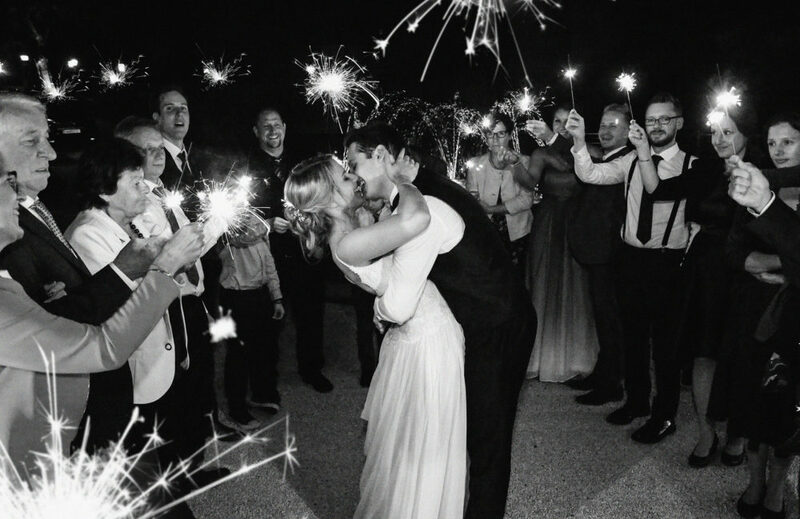 All the best to those two lovely souls! 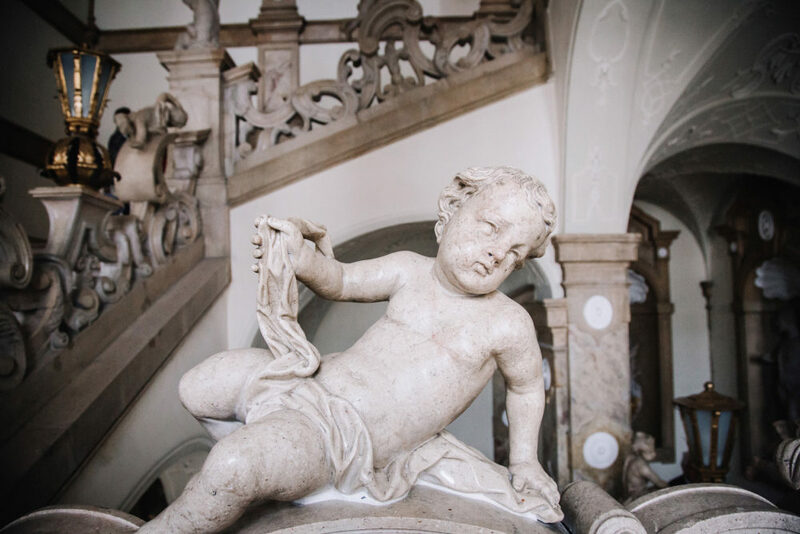 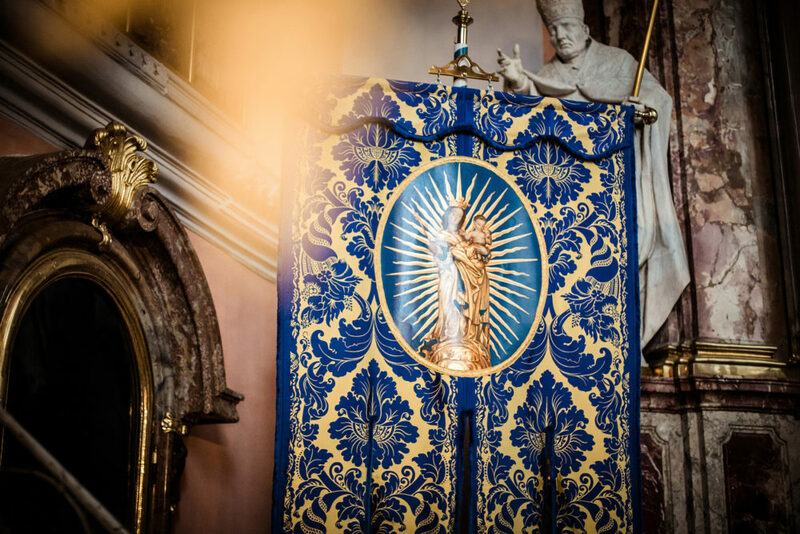 One thing is for sure, there was no need to scrub the cherubs bum to guarantee them a very happy life.